A Strong Sweet Smell of Incense, is an exhibition that will take as inspiration the character and career of celebrated art dealer and pioneer, Robert Fraser. Curated by his friend Brian Clarke, this exhibition will showcase many of the luminaries of the American and European contemporary art scenes that passed through his gallery. The Robert Fraser Gallery was one of the preeminent galleries showing both emerging European and American artists in the 1960's and 80's in London. In looking at Fraser's era-defining gallery, Pace's exhibition will also evoke the artistically flourishing London of the 1960s, when popular culture, music and art collided with Robert at the epi-centre. 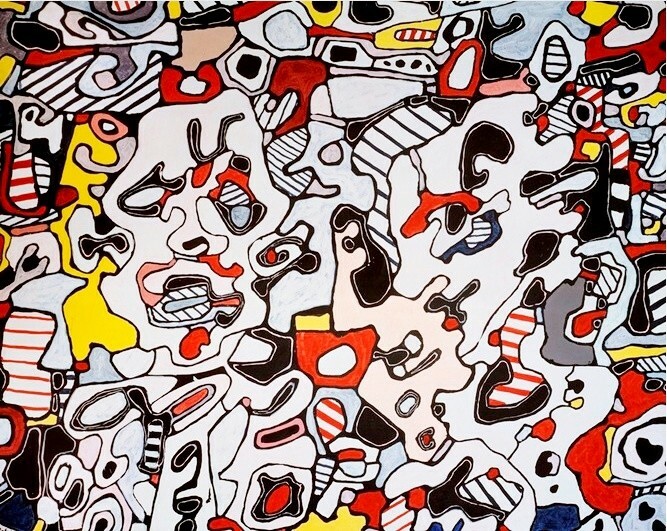 The exhibition will include works by Jean Dubuffet, Patrick Caulfield and Peter Blake among others.